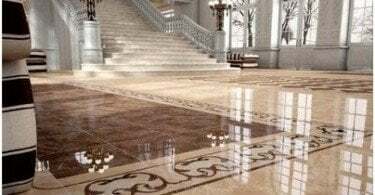 Modern floor coverings, such aslaminate, parquet, carpet, linoleum, and many others that are not load-bearing materials, fit only for a perfectly flat surface. 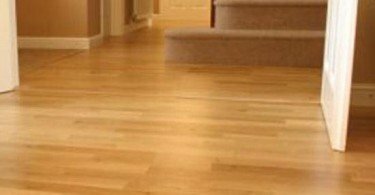 In the homes of old buildings, which feature wooden plank floors, almost always require their alignment. To achieve this, there are several ways, one of which is the alignment of the wood floor with plywood. This option does not require a large amount of work associated with the opening of the old floors, replacing the lag and the rickety boards. Just on top of the old floor is a new crate, which laid plywood sheets of suitable thickness. At the same time it manages to slightly raise the floor, keeping the maximum height of the room. With even the most quality timeroofed wooden floor loses flatness due to the deflection of the boards or on the contrary their bending. As a result of these processes in some places are obtained trough, while others - "humps." And changing the position of the boards relative to each other. 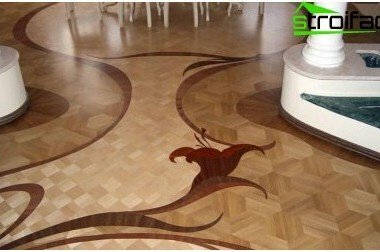 If on top of the floor without preparation to conduct laying linoleum, carpet or laminate, for a long time, these floor coverings not last. Cracked, rub off, to bend under the influence of the daily loads, because it is necessary to go on the floor, not just admire its beauty. 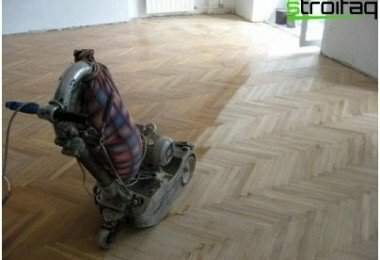 Eliminate the disadvantages of a wooden floor can be andusing sanding procedure, which is performed by grinding or scraping machine. However, to call this process easy and simple it is impossible, moreover, it is associated with a large dusty and dirty areas. Before starting to scrape the surface plank floor, you have to sink all the nails holding the boards to the joists. To do this, use a hammer and small beards. On a note! Barbs relates to plumbing hand tools designed for cutting holes in sheet metal, and for driving deeper into the material of the fastening elements. The difficulty is that you can notSkip a single nail. Otherwise, the knives of the sewing machine will come across this obstacle, after which they will have to be removed and re-sharpened. After installing the knives, you still need to reconfigure the sewing machine. The search for nails makes it difficult for layers of floor paint, which has been repeatedly applied to wooden floors. In addition, the cycle of the floor is difficult to make in the corners, as well as along the perimeter along the walls. 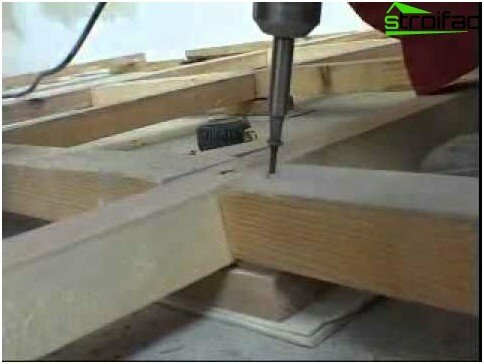 The disadvantages of sanding can also be attributedreduction in thickness and bearing capacity of the boards. 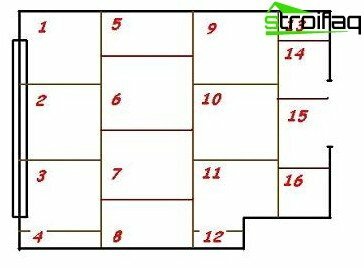 By and large, the problem of aligning the floor in such a way is not completely solved, because of the different parameters of humidity in the summer and winter periods boards undergo further deformation. 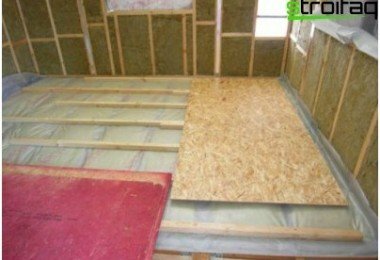 Therefore, the best solution alignment problemswood floors flooring is considered perfectly flat material - plywood or particle board (chipboard). At the same time these materials are placed on a good footing, in which were aligned lags. The market offers adjustable floorlags, which are very easy to installation, but unfortunately the road. 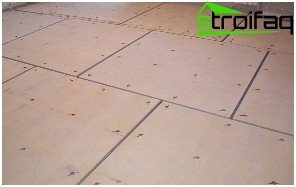 Design feature is the presence of these floors on joists screwed adjusting studs, which are based on the draft floor. With the help of screwing or unscrewing these supports achieve the ideal horizontal floor. Lay the floor joists can be controlled at any base. The gaps between logs fill insulation. 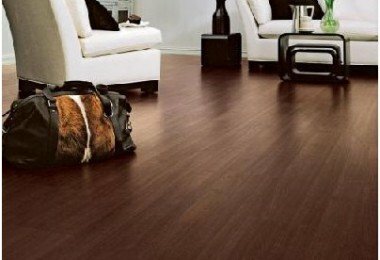 In addition to the high cost of these floors take up to 7-10 cm height of the room, except for the thickness of the selected finish. In rooms with low ceilings and the use of controlled floors are not justified. In practice, very often used more affordable wooden floor leveling technology that is laying thin lag a short distance from each other under the planarization layer plywood. Make lags plywood strips, using sheets of various thicknesses. Here are the main stages of this process. Set the beacons across the floor surface. As beacons using conventional screws, screwing them into the corners painted mentally squares whose sides are equal to 20-30 cm. It facilitates the process considerably availability screwdriver and a spirit level, by means of which is determined by the required height of the lighthouse. Important! The thicker plywood, selected for floor leveling, the less frequently a lag. However, it is not recommended to stack logs at a distance greater than 35 cm. Focusing on the exposed lighthouses, startthe process of laying the lag of a width of 30-50 mm. 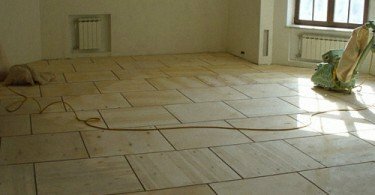 Since the edges should occur in the logs, the pre-lay plywood on the floor and draw its outline chalk, pastel chalk or pencil. According drawn lines indicating the place of a joint leveling material, place logs. For their attachment using screws or glue: PVA, PVA Moment PVA carpenter glue and other types of wood. Important! Avoid sagging lag by putting in place data smeared with glue plywood pieces cut from sheets of varying thickness. After the device dense network lag time to let the glue dry completely. Then proceed to laying plywoodsheets, fixing them with screws with countersunk heads. And the attachment points and pre nadsverlite prozenkuyte to the cap screws are recessed into the surface of the plywood sheet. Lightly sand the joints and fixing points. Using this method, you will level the floor by liftingit is only 2-3 cm. If the topcoat is selected linoleum or carpet, cover the plywood flooring in front of their two or three layers of varnish. If you decide to lay laminate flooring, do not forget to lay a plywood substrate. For these purposes the cork or foamed polyethylene. Important! On logs stacked plywood with a thickness of not less than 12 mm. Very precarious balancing technologyluting floor is its surface with a mixture made of fine sawdust and white glue. We can say that in this embodiment is performed a kind of tie-PVA sawdust filler, over which is laid a thin veneer (5-8 mm). At the same time laying the plywood on the wood floor, leveled it in an unusual way, saves money, but it increases the run-time jobs. After a homemade coat dry for about two days. When applying several layers in places with a large height difference of time increases as the subsequent layer is applied only after the previous one has dried. Tamp on wooden floor slats beacons, which are pre-set the the horizontal level. Fill the space between the rails with a mixture of gluePVA and sawdust, which is in its consistency should resemble a thick cream. It is recommended to pre-moisten the sawdust and a little squeeze. Otherwise, they too quickly pulled moisture from the glue. The thickness of the applied layer should not exceed 1-2 cm. Therefore it is recommended to repeat the procedure two or three times if necessary, checking the level of rule-evenness of the applied layer. 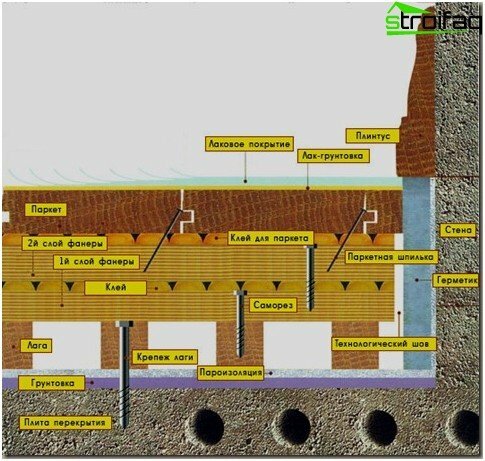 After drying, the PVA-sawdust screed to lay plywood sheets, fixing them with screws on the technology described above. This technology is suitable for people,Having free time, during which they will slowly carry out the work themselves. The unquestionable advantage of this method is a minimum floor lift, which is limited to the level of the "highest board". Concrete screed must be given a good dry. It takes usually about a month. After that, the cleaned concrete surface applied waterproofing. Experts recommend to lay sheets of waterproof plywood, the thickness of which must be at least 12 mm. 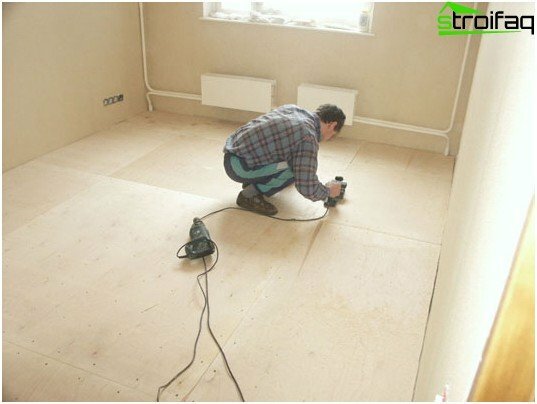 First, just lay plywood sheets,the cut to size 60 x 60 cm squares, on the floor surface in suspected areas. Thus consider the need for seams between the cover damper joints is 8-10 mm. Also note that the plywood sheets should not touch the walls. It is advisable to leave a gap between the wall and the veneer size 15-20 mm. Important! Spend laying plywood sheets with mixing, excluding the four intersection seams in one point (like brickwork). After the fitting number the sheets and make their styling scheme indicating the rooms. Remove the plywood for the substrate preparation for its installation. improve the adhesion of dissimilar materials to each other. On a note! Called primer in building one of the primer species. It made a primer of the same material (paint, glue, paste), which is supposed to cover the surface. However, it contains a larger amount of solvent that provides the best penetration into the surface. Apply primer by roller or brush. Apply with a notched trowel onto the prepared substrate adhesive mastic. The layer thickness should be equal to about two millimeters. According to the scheme drawn up, place a sheet of plywoodinto place and secure it with screws with plastic plugs. In this drill the concrete floor at a depth of 6 mm straight through the plywood. Hole prozenkuyte to drown in hat screw leveling material. Once laid plywood sanded to give perfectly smooth and solid foundation under the floor or other surface finish. Now you know how to spendalignment with plywood floor. Choose the appropriate method of procuring the material and forward for the cause. If you want to hire a team of builders, you can talk to them in one language and choose to perform the work of these professionals.